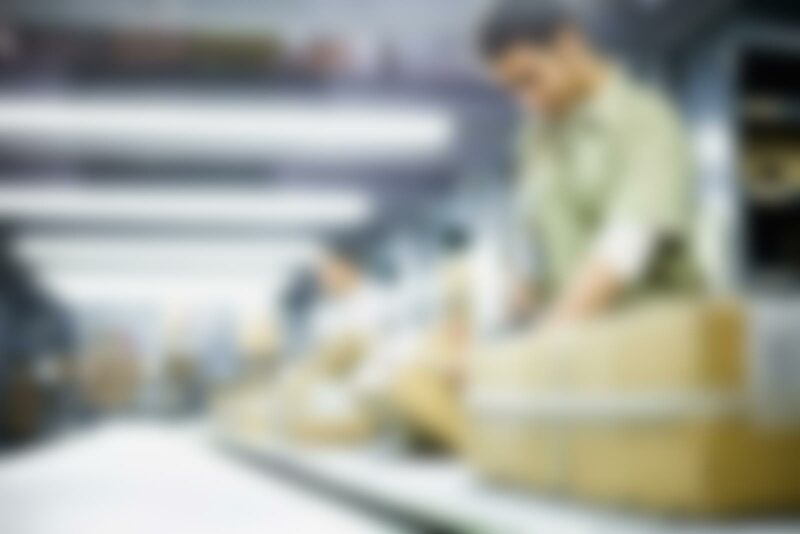 How Does the Order Fulfillment Process Work? All J.M. Field material distribution orders must be processed via integrated setup through the All In View inventory management system. All USPS, UPS and FedEx ship method orders received by 3 p.m. eastern time will be shipped same business day. We will electronically notify client of any order received by 3 p.m. eastern time that cannot be shipped that same business day. Changes to items ordered (quantity, size, color, style) or substitutions after the order is placed may result in shipping delay. All client freight charges are prepaid and billed to J.M. Field shipping accounts unless otherwise requested by client. Client freight is billed monthly as incurred. Volume-based freight discounts are passed along to client as an added benefit. Upon starting the order fulfillment process, J.M. Field Marketing will conduct a full material inventory count and create a starting inventory report to be entered into our All In View system. Inventory charges will be billed at the standard management rate. Client may choose to waive this service if they provide a tabulated electronic inventory report prior to receipt of material. We are not responsible for any inventory miscounts, loss or shrinkage for non J.M. Field-inventoried items. All startup inventory received must adhere to our receiving guidelines. Client must provide all required forms in advance for any fulfillment service programs shipping hazardous material. All setup charges are billed prepaid. We offer credit card processing capabilities through our All In View cart and 3PsC integrations. Clients must setup and maintain their own merchant account for monetary transactions conducted through their shopping cart. We will provide administrative support and guidance for merchant service setup if needed. Our order fulfillment process allows us to accurately and efficiently ship thousands of packages daily via shopping cart integration of its All In View system and its warehouse, inventory and CRM tracking capabilities. Connection to our system is required for all client product distribution. The inventory management software cart was built around robust inventory management, order tracking, customizable business rules and user permission based access. All carts are custom skinned for each client and provide a turnkey cart designed for simple and efficient materials management and supply chain solutions. We will custom design and build a simple, friendly and informative front-end shopping cart and website which positively markets the client. Subsequent site pages can also provide relevant information in an easy to navigate structure. The order fulfillment process also provides seamless integration with the inventory management system, cross browser compatibility and testing across all major web browsers and operating systems. We offer easy access to our web service gateway to integrate and connect your third party shipping cart (3PsC) to our inventory management system. There is no charge for this client-performed integration. Our custom integration module seamlessly retrieves new “ready” orders from your third party shopping cart (3PsC), injects into our order stream for processing, and updates your cart with tracking information daily once the order has been shipped. From a designated SFTP directory, we retrieve client posted daily order files and process them through the All In View system using our automated pickup process. This order fulfillment process and setup is the ideal intake method for clients who are processing large volume, small package fulfillment of 100+ orders daily. Give us a call today at 866-997-3811 so we can walk you through our order fulfillment process! Order Fulfillment: How many pallets am I able to ship?